It’s a Bus! Welcoming the Big Kahuna. 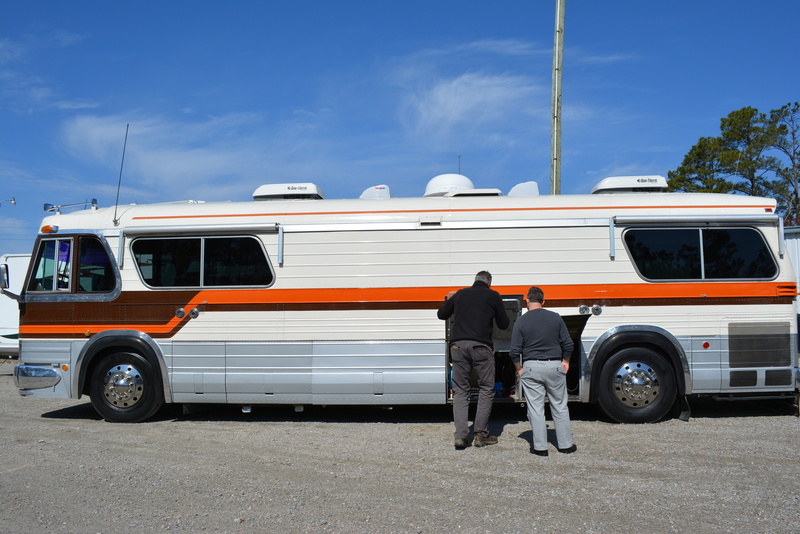 As we mentioned a few weeks ago, we sold our GMC Motorhome, the Silver Shell, in order to upsize to a rig more spacious and suitable for full time living. This last week we made the purchase: a 35’ vintage 1963 GM PD-4106 bus! As our vehicle ownership history indicates, filled as it is with odd models like the Suzuki X-90, an Isuzu Vehicross, and multiple Saabs, we like our rides unusual. So in looking for a larger motorhome within our price constraints, a used bus was a tempting option from the minute we started our research; we just needed the information, confidence, and right rig to come along. The first two requirements were provided by the adventurous couple who run Technomadia and other online RV-oriented endeavors. 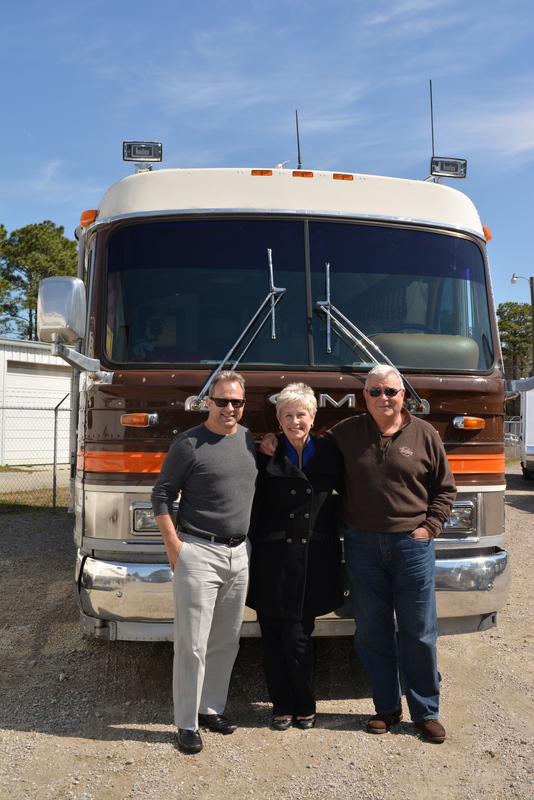 They purchased a slightly older version of our bus, a ’61 GM 4106, and significantly upgraded the existing motorhome conversion with modern tech wizardry. Having followed their blog for the last year, we had a good feel for the pros and cons of a vintage bus, and were reasonable prepared to assess options as they presented. We had narrowed our search to Flexble, MCI, and GM busses from the ‘50s through the ‘80s. When we ran across the ’63 GM on eBay, saw that it was conveniently located next to relatives in Wilmington, NC, and noted that the auction bidding was stuck below half of the original asking price and well within our expected range, we thought we might have a bargain. When we learned that the most recent owner, a nuclear engineer, had lovingly converted, upgraded, and maintained it during his four decades of ownership, including with a full engine rebuild, we knew we had found our future home if we could win the bidding. In a tense evening of constant refreshing, last minute research, and more than one glass of wine, we executed a last second “sniper bid” on the eBay auction, effectively eliminating a psychological bidding war, and watched as the last seconds ticked down without anyone exceeding our offer. 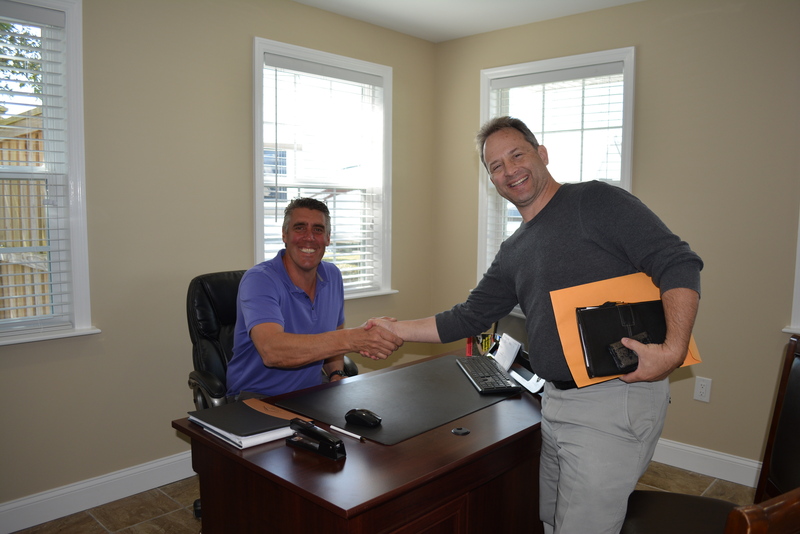 We committed to the purchase with a deposit the next day. This last week we flew to Wilmington, stayed the night with my mom and father in law, and then we all piled into their SUV filled with our travel bags and folding bicycles, and met our new bus at Wilmington RV. Matt Rancourt had been working with us since well before our arrival to conduct routine maintenance and storage accommodations, and gave us the grand tour and as much of an operational and technical rundown as possible. We signed the papers and drove off the lot headed toward Miami. Now, I know there must be some skepticism out there about the wisdom of switching from one old ’78 vehicle to an even older ’61, but the reality is that diesel buses, real buses meant for passenger service as this one was, were designed to go a million miles, and the Detroit 8V71 engine is a well-regarded workhorse that will serve for decades more. A new “diesel pusher” motorhome would run us at least a $100K, so the $22K we paid for this one leaves us lots of budget room for upgrades. Our four day shakedown cruise from Wilmington to Miami proved that this big boy is comfortable on the road, and having had 750 miles along a steep learning curve, I think he is significantly more reliable than our somewhat finicky Silver Shell. We will post more about that first road trip another day, along with information on the upgrades and interior changes we are looking at, but for now, enjoy some pictures of the Big Kahuna. HUGS from Miami Beach to Oregon!!! Hope to see you both in July! OR we are still working out the details 🙂 Some days we’re ready to take the leap at the end of this year but Jack’s great job (contract) doesn’t end till Sept 15′.